A software update to the Apple Watch's OS gave third-party developers access to the device's sensors this week, fulfilling a request they've had since Apple unveiled the wearable. With watchOS 2, which Apple showed on Monday at its annual developer's conference, developers can create more-capable apps that directly tap into the watch's components, like its microphone and heart rate sensor, instead of relying on an accompanying iPhone to handle app processing. While developers welcomed this news, some think Apple could go even further in making the watch a better platform for their apps. Some developers say that being able to use the digital crown to control an app would be helpful while others want to tap into the watch's Bluetooth technology. And some looked beyond software adjustments to call for hardware tweaks, like better battery life and more sensors. "We always want to get more access to sensors on the watch," said Siamak Ziraknejad, vice president of product management at Microstrategy, which sells a security platform that uses identity badges delivered on mobile devices to provide employees access to computers and buildings. If the Apple Watch were a stand-alone device and could do everything the iPhone can, Ziraknejad said, end users would have a better reason to use it and developers would have more creativity with the apps they can build. Stefan Damm, head of iOS at Runtastic, which develops a range of fitness apps, thought Apple could have gone further with letting developers tap into the digital crown. The crown only controls information that's displayed in the watch face, he said. For instance, turning the crown enables the "Time Travel" feature, which allows people to scroll through their schedule for the day. However, the apps themselves can't be controlled by the crown, Damm said. This prohibits, for example, a developer from creating a game that could be controlled by the crown, he said. The more access developers have, the greater the chance they'll create the so-called killer app that makes the Apple Watch must-have technology instead of an iPhone accessory, Damm said. Developers were hoping Apple would allow them to add buttons to a notification feature on the watch called Glances, said Mayank Kumar, senior iOS developer at Tile, which makes tracking devices that can be attached to items. Glances that come from Apple apps are allowed to have buttons, he said. Buttons allow a person to take action from a Glance, like pausing a song that's playing. Kumar would also like Apple to provide watch developers with direct access to the watch's Bluetooth technology, a feature that "would be extremely helpful to Tile." Apple already allows developers to tap into the Bluetooth for iPhone apps, he said. Tile's tracking hardware, which are called Tiles, uses Bluetooth to communicate with its app "so it would be great to have the watch talk directly with Tiles," rather than have to go through the iPhone, he said. Developers also want access to some of the novel features in the watch's display, like its Touch Force screen, said Hamid Palo, mobile lead at Trello, which develops a Web-based project management app of the same name. Developers could use the screen to add drag-and-drop functions to their apps, he said. 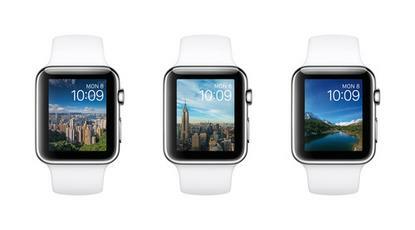 Other developers think Apple could improve some of the watch's hardware and, in the process, the apps that run on it. For Maximo Cavazzani, CEO of Etermax, which makes the game Trivia Crack, the developer capabilities added in the software update, while welcomed, were also expected since the features are already available to Apple developers. The watch, however, is reaching the limitations of its hardware and a software update may not necessarily get around that issue, Cavazzani said. Increased battery life, like the ability to run the watch for a week on a single charge, would have been welcomed news, but the device's hardware doesn't allow it, he said. Adding more sensors to the Apple Watch would be helpful to developers, said Sergio Prado, who co-developed the fitness app BodBot. While the existing sensors "offer the core of what we need," Google's rival Android Wear platform does support more sensors, he said. With a humidity sensor on the Apple Watch, for example, BodBot could better customize a workout by suggesting that a user cut back on a cardiovascular workout if the humidity is too high, he said.